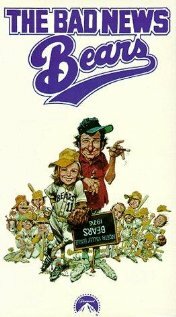 To be clear up front, we are talking the 1976 original with Tatum O’Neil, Walter Matthau, etc. I’ve watched it several times, most recently about seven years ago. Great movie, though the language might startle you with its profanity and ethnic slurs. Pretty harsh by today’s politically-correct standards. The through-line of the movie moves inexorably toward the big, championship game. We’ve seen the Bears come together, struggle and lose, then learn to win, and now the stage is set for the film’s dramatic conclusion: The Big Game. We’ve seen this setup countless times before. The first time I watched the movie, the game’s ending surprised me. It came down to a close play at home plate, the scrappy Bears about to tie it with two outs in the last inning . . . the baserunner slides, the catcher applies the tag, the dust rises . . . “Out!” the umpire calls. Game over. The Bears lose. For years I’ve marveled at (and appreciated) that decision by screenwriter Bill Lancaster and director Michael Ritchie. They didn’t allow the Bears to win the big game. Nope, they lost it. Because, when you think about it, winning was never actually the point to this story, not in a satire about Little League competition. But still, the Bears lost; it was shocking. Partly because you almost never see that in books and movies, for all sorts of reasons. I might be more sensitized to endings than ever before, since I’ve been frequently queried about the ending to Bystander. I recently came across some of my early notes on the book that made it clear how I fully understood that my original ending lacked drama, it just didn’t hit it out of the park. I sensed that some readers might want more, particularly when considering their heightened feelings about fairness, justice. So I cooked up an alternative, a more satisfying ending, more complicated and conflict-oriented, and arrived at something pretty cool where the bad guy got it in the end. 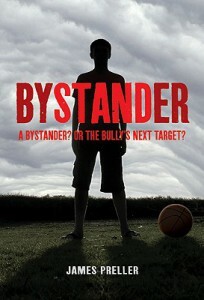 Not too shabby, way better from a purely dramatic point of view, but it didn’t satisfy me — because it didn’t ring true. Not to life as I knew it. So I reinstated my original ending, the one where life goes on without trumpets or tidy bows, unicorns or rainbows. The kid gets through it, basically. Survives. It gets better. 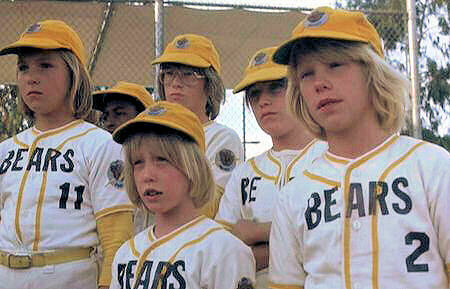 I don’t know what made me think of The Bad News Bears last night, but I remembered what happened in the scene immediately after the game. It was trophy time, that dreaded, heartless cheer, “Two, four, six, eight! Who do we appreciate?” The hated Yankees received a ludicrously-oversized trophy. And as consolation prize, the Bears were handed a dinky second-place trophy — and also, it should be recognized, offered grudging respect by the (still condescending) opposition. That was the film’s true ending, of course. It was never about the game. It was about winning respect, and self-respect. About being a team. In the end, Lancaster and Ritchie gave the Bears the much greater victory. There they were, hopping around like idiots, spritzing non-alcoholic beer on each other, happy and . . . triumphant. They lost the game, sure, so what, but ended the film on the perfect note. Pretty terrific, if you ask me. See for yourself . . .